International experts to convene in Ludhiana, India, to discuss the way forward to increase climate resilience and productivity of maize, and to strengthen maize-based cropping systems in Asia. 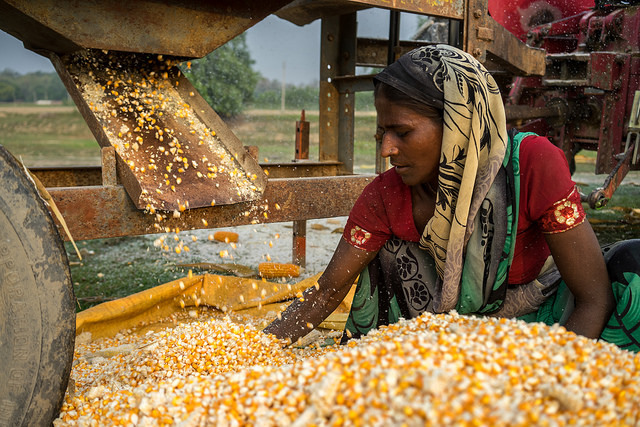 Ludhiana, India (CIMMYT)—Maize is one of the most important crops in Asia alongside rice and wheat, and provides important economic opportunities to smallholder farmers. The 13th Asian Maize Conference in Ludhiana, India (October 8-10) will bring together key Asian maize partners and global experts to discuss the present status, challenges, and future opportunities for enhancing maize for food, feed, nutrition and environmental security in Asia. The conference is jointly organized by the Indian Council of Agricultural Research (ICAR), the International Maize and Wheat Improvement Center (CIMMYT), the ICAR-Indian Institute of Maize Research (ICAR-IIMR), Punjab Agricultural University (PAU), the CGIAR Research Program on Maize (MAIZE), and the Borlaug Institute for South Asia (BISA). Bangkok – 29 October 2014 – More than 350 leading agricultural researchers, policy makers, farmers and service providers from across the public and private sectors gathered in Bangkok from 30th October – 1st November for the 12th Asian Maize Conference.